Excellent bed and comfy facilities. The shower and shower gels were a dream come true after a humid HK day. The bed was like a cloud. We were very satisfied with the service in the hotel. They cleaned the rooms and replaced the toiletries regularly. The washing machine button was broken and they fixed immediately upon request. We did not stay in the room for long. But, after a day long sightseeing under heat, entering a clean-air conditioned room was such a pleasant feeling. Bus/ MTR/ Tram- everything was nearby. We will definitely book the same place again. Highly recommend for families! The management was excellent. Very helpful and courteous. Hotel is in a great location besides being a little hard to find initially. Laundry service. The staff are very helpful and nice. Great location with quiet environment and well-designed room.The room space is bigger than I thought.bravo! It’s a serviced apartment so the room is bigger than most Hong Kong hotel room. I booked this for my parents and they enjoyed their stay. Location is great. The room is great size for HK as it is like a studio. 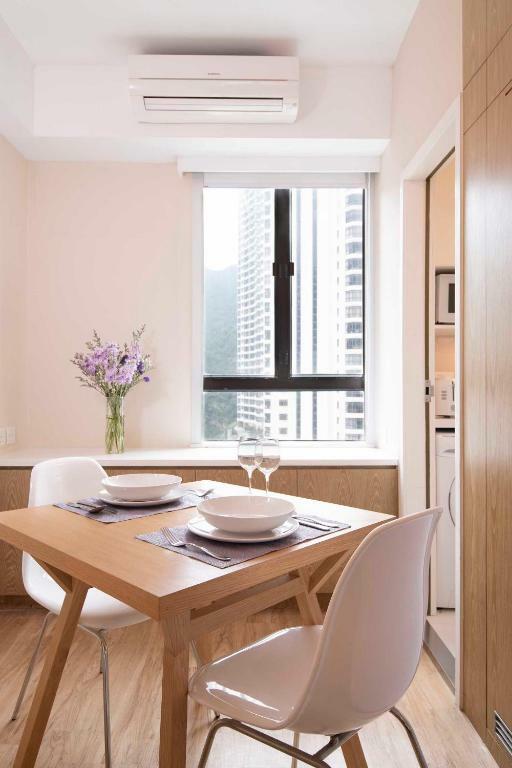 Lock in a great price for Eaton Residences, Wan Chai Gap Road – rated 8.1 by recent guests! 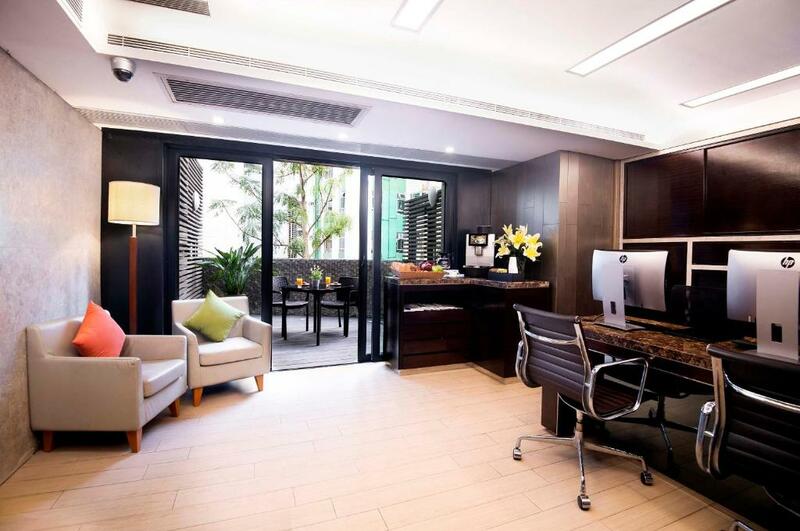 Eaton Residences, Wan Chai Gap Road This rating is a reflection of how the property compares to the industry standard when it comes to price, facilities and services available. It's based on a self-evaluation by the property. Use this rating to help choose your stay! 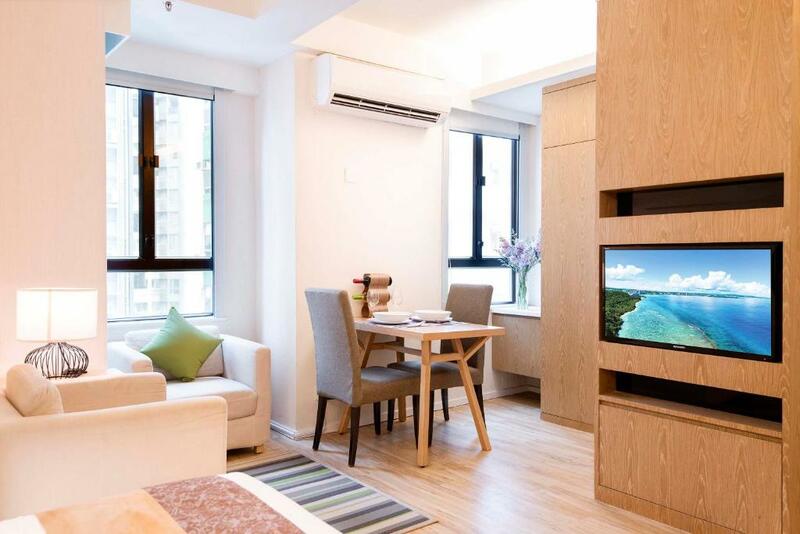 Eaton Residences, Wan Chai Gap Road is located a 5-minute walk from Wan Chai MTR Station and the Lee Tung Avenue. It houses a 24-hour fitness center and offers accommodations with a kitchen, living and dining areas and free Wi-Fi access. The property is an 8-minute MTR ride to Central and an 8-minute taxi ride to the Airport Express Hong Kong Station. 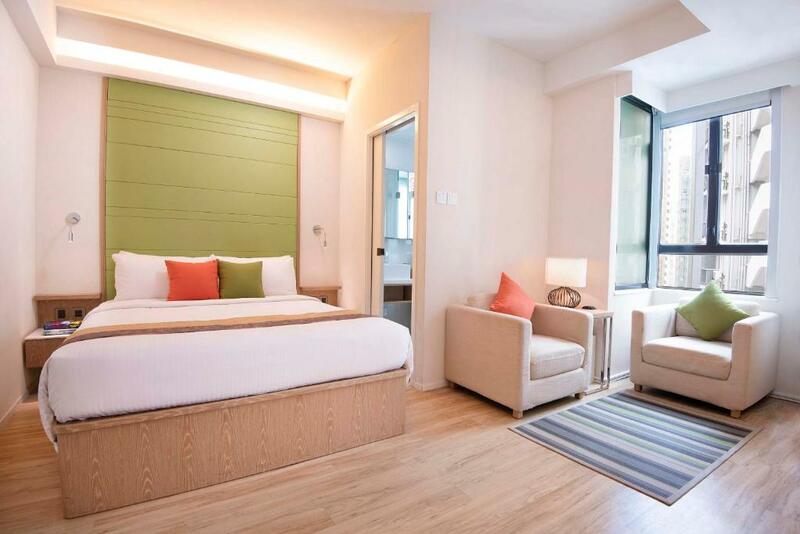 Causeway Bay is a 16-minute drive away while Tsim Sha Tsui Station can be reached in 22 minutes by car. Fitted with wooden flooring and living and dining areas, studios also offer a kitchen which has a stove, microwave, toaster and fridge. They include a washing machine, sofa and flat-screen TV. Eaton Residences, Wan Chai Gap Road's service staff can assist with concierge and luggage storage services. Guests may work out at the fitness center or relax and social at the sun terrace. 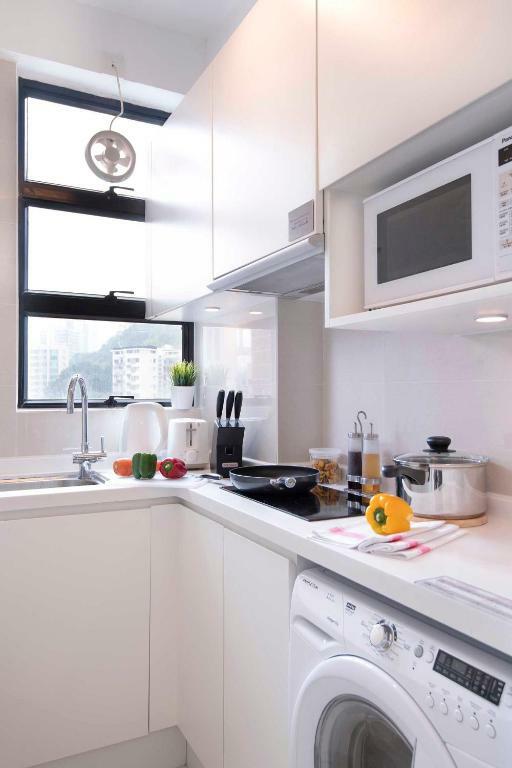 Wan Chai is a great choice for travelers interested in food, city walks and local food. When would you like to stay at Eaton Residences, Wan Chai Gap Road? Fitted with wooden/carpet flooring and living area. 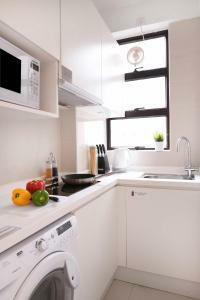 It also offer a kitchen which has a stove, microwave, toaster and fridge. A washing machine, sofa and flat-screen TV are available as well. The 28-square-yard executive room comes fitted with wooden/carpet flooring and living area. It also offer a kitchen which has a stove, microwave, toaster and fridge. A washing machine, sofa and flat-screen TV are available as well. Wan Chai is renowned for its social activity with a wide selection of bars, clubs, cafes and restaurants. It is also host to various exhibitions and cultural performances which are held in the Hong Kong Arts Centre and Hong Kong Academy for Performing Arts. Area Info – This neighborhood is a great choice for travelers interested in food, city walks and local food – Check location Great location - show map Guests loved walking around the neighborhood! 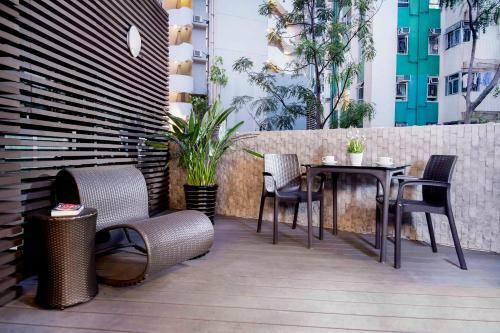 House Rules Eaton Residences, Wan Chai Gap Road takes special requests – add in the next step! Eaton Residences, Wan Chai Gap Road accepts these cards and reserves the right to temporarily hold an amount prior to arrival. The credit card used for the booking payment or guarantee must be presented upon check-in. The name on the credit card must match the guest’s name when checking in. 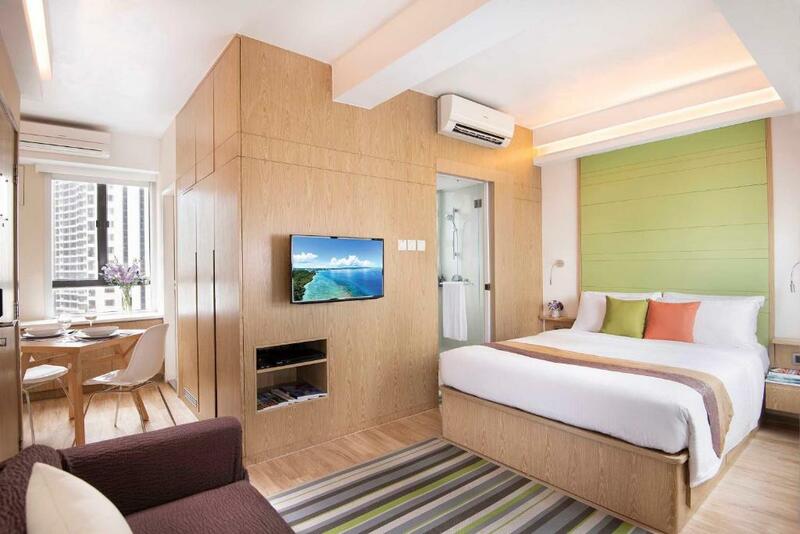 In case the credit card cannot be presented upon check-in, the guest will be requested to pay at the check-in time. Please note that a third party payment must be arranged directly with the hotel in advance. Very close to everything you want and need. the lift has to be upgraded. had to go down 21 stairs during 1 of the days when the lift was not working or was slow in coming up. some more kitchen utensils and improvement on the driveway. The room was spartan, or sparse, Not warm and inviting. Also, was very overpriced. Hard to locate, even the taxi drivers could not find it. Quiet area, coffee machine in lobby was good. 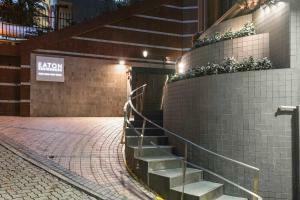 Extremely good location, very accessible both by MTR and buses. 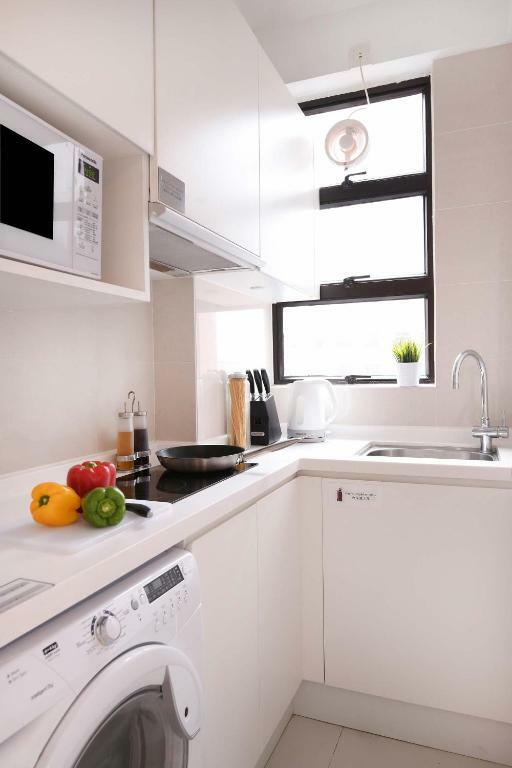 The kitchen and laundry are very convenient for long-term travelers. The bed and bath facilities feel quite nice. From front door of main entrance to street level, although a short distance, needs to walk through a slope, no big deal for an athletic person, but no good for an elderly or handicap person. The service apartment block is likely a refurbed one from old resi building, and soundproof condition is not good, without sound-absorbing mattress in place, and my parents couldn't sleep well for several occasions when their neighbor on the same floor talked and laughed too loudly. Hopefully the operator could do sth with this to make the stay experience even better. I booked this for my parents coming over the spring festival holiday for 2 weeks. The superb location allows 5-min walk to Wan Chai MTR, the Avenue, a couple of supermarkets and rich night life around. My parents are highly satisfied with the kind and helpful staff in the apartment, who always answer to your inquiries with a friendly smile. However slightly aged building, shower booth must be required for cleanliness. Helpful staffs, Well equipped facilities, Historic and heartwarming neighborhood. The location abit hard for walking to hotel. I like the facilities and the services of the staff. it has been my second times staying this apartment hotel. It was even difficult to walk along the corridors, the place is not accessible by taxi. You have to walk down a very steep street with all your luggage to obtain one. Quiet and peaceful. The rooms are also clean. They had some coffee and basic pastries and fruit in reception. That was handy in the mornings.